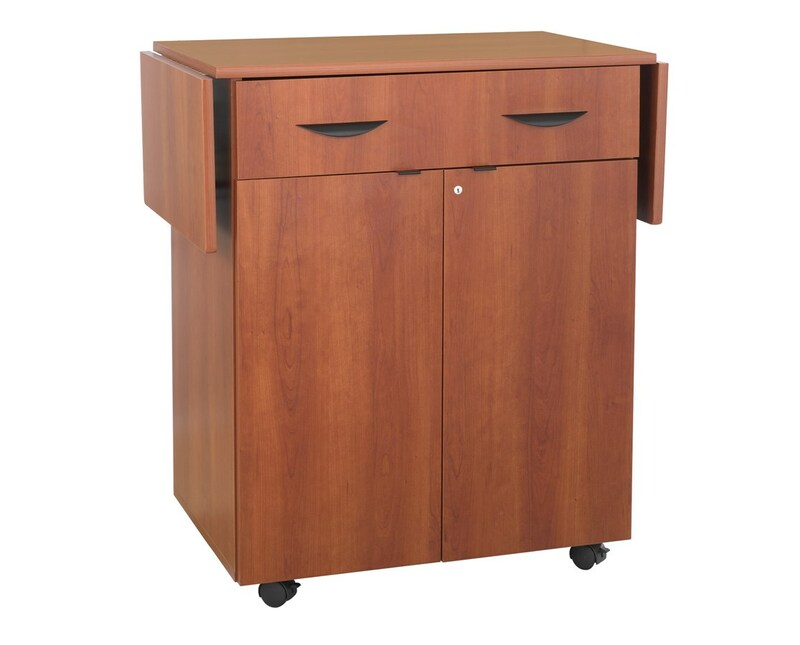 The Safco Hospitality Service Cart is a versatile storage unit that has a contemporary, modern-looking design. It features a 32.5 inches wide top surface that extends up to 56.25 inches wide with the drop leaves on both sides. A five-inch high pull-out drawer with two handles and a double door locking cabinet with an adjustable interior shelf are included for added storage. The top surface has a weight capacity of 40 pounds, while each drop leaf can hold 15 pounds of weight. The drawer has a weight capacity of 10 pounds, the adjustable shelf can hold up to 30 pounds, and the internal bottom shelf accommodates 40 pounds of weight. 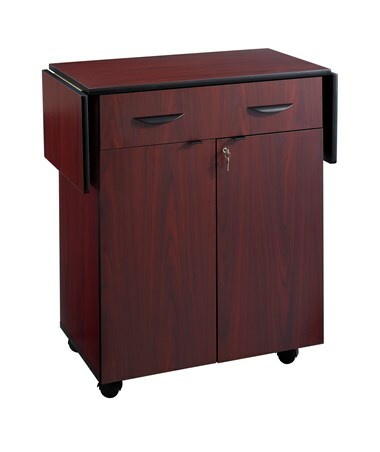 This storage unit is mobile on four two-inch dual wheel casters and two of these casters can be locked if desired. 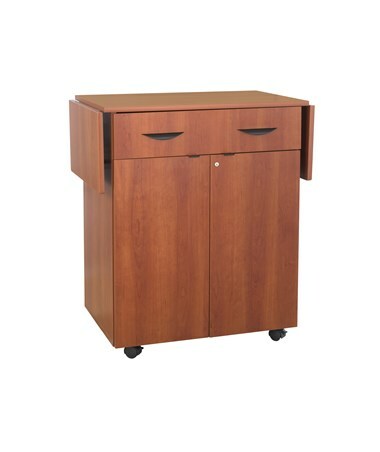 It is constructed from durable ¾-inch furniture-grade wood stain and scratch resistant laminate finish. Assembly of this unit is easy using the cam-lock fasteners. It also meets the BIFMA industry standards. 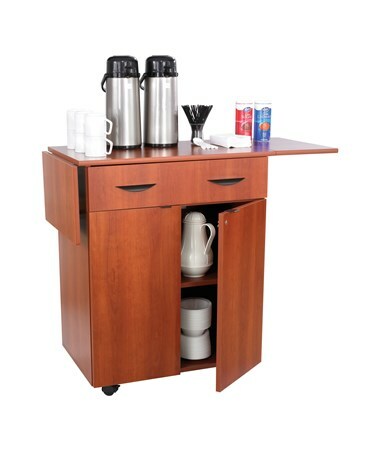 The Safco Hospitality Service Cart is available in two different colors. Please select your preference from the choices above.